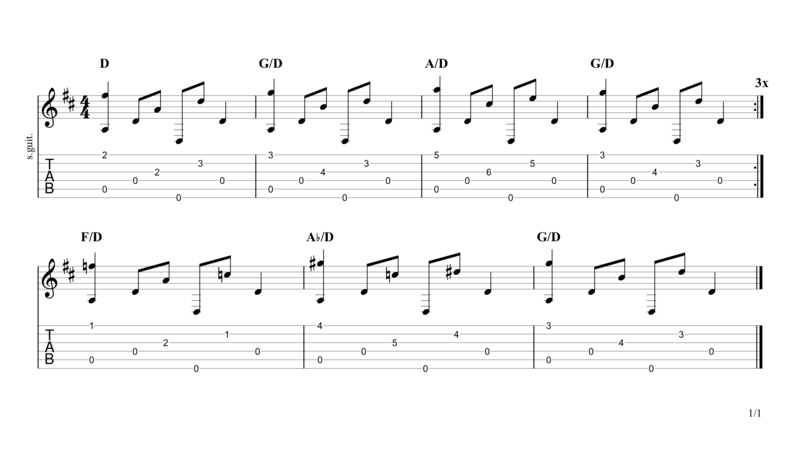 Scroll down for full video lesson (with tab) of Dear Prudence. 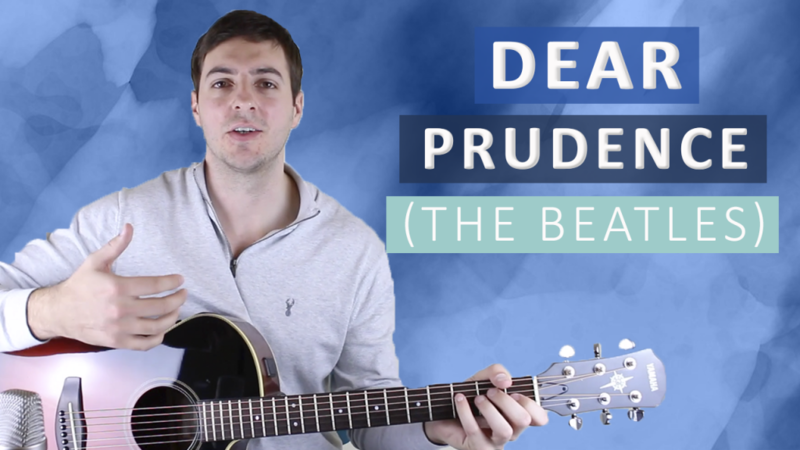 Dear Prudence by The Beatles is the perfect fingerpicking song for someone that wants to break out of playing beginner tunes. What makes this song harder than all the ones we've covered so far is the alternating bass. In Dear Prudence your thumb bounces between the bottom three strings throughout the entire piece, and if you've not done that before you will likely often find yourself playing the wrong bass note. If you are new to this technique then I strongly recommend starting with just the bass line and getting that secure first. Then, once you're ok with that, bring in the top three strings. 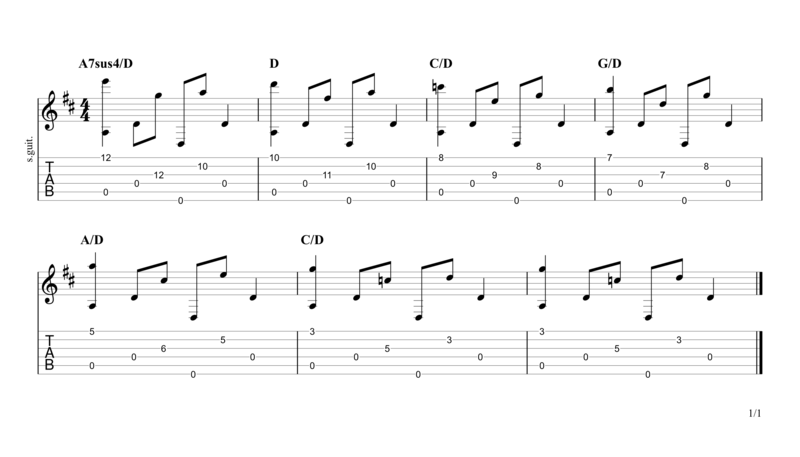 There's also a lot of chord movement in Dear Prudence and visualising each change will require dedicated practice. This is especially true in the intro and outro as the chords descend down the entire fretboard, creating new shapes every time. It sounds amazing but it is difficult. Dear Prudence is no. 13 on my Top 60 Fingerpicking Songs of ALL TIME list. If you've not seen the list be sure to check it out and subscribe to get weekly lessons for each song! 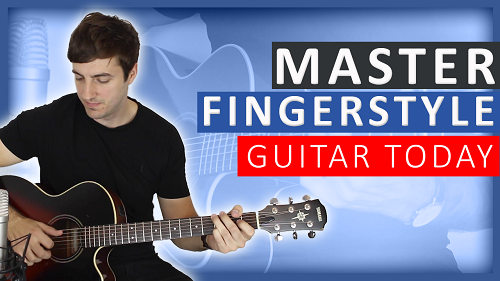 The intro is one of the most challenging parts of the song to master. 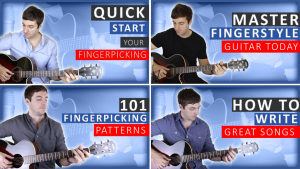 Take your time as you work your way through the chord changes. The verse has a repeating descending bass line constantly playing over the chords, and the notes of C and Bb in that line aren't diatonic to the key of D major. This creates some harmonic tension and resolve and makes the verse very interesting; it keeps the listener on edge. At the end of each verse there is a bar of C major (again not diatonic to D major but instead taken from its parallel minor key) followed by a bar of G.
The only remaining part of Dear Prudence is the bridge. If you want to make sure that you're really on the right track with fingerpicking I recommend trying one of fingerstyle guitar courses. Find out more here. could add to my blog tһat automatically tweet my newеst twitter updates. I’ve been looking for a plug-in like this for quite some time and was hoping maybe yοu woᥙld have some еxperience with something like this. reading уour blog and I look forward to your new updates. Hey there, I think a plugin called Jetpack can do that. To be honest I’m really bad with all that stuff and leave it to others who help me with the site.